IHG® Rewards Club - eBook - Babies for Sale? Transnational surrogacy - the creation of babies across borders - has become big business. Globalization, reproductive technologies, new family formations and rising infertility are combining to produce a 'quiet revolution' in social and medical ethics and the nature of parenthood. Whereas much of the current scholarship has focused on the US and India, this groundbreaking anthology offers a far w… ider perspective.Featuring contributions from over thirty activists and scholars from a range of countries and disciplines, this collection offers the first genuinely international study of transnational surrogacy. Its innovative bottom-up approach, rooted in feminist perspectives, gives due prominence to the voices of those most affected by the global surrogacy chain, namely the surrogate mothers, donors, prospective parents and the children themselves. 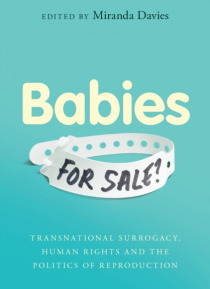 Through case studies ranging from Israel to Mexico, the book outlines the forces that are driving the growth of transnational surrogacy, as well as its implications for feminism, human rights, motherhood and masculinity.